U.S. President-elect Donald Trump greets supporters during his election night rally in Manhattan, New York, U.S., Nov. 9, 2016. Russian President Vladimir Putin has sent a message of greeting to Donald Trump upon his victory in the U.S. presidential election. As the Kremlin’s press-service has said Putin expressed the hope "for joint work to steer Russian-U.S. relations out of the critical condition and also to address crucial issues on the international agenda and identify effective responses to challenges to global security." Putin also expressed the certainty that "a constructive dialog between Moscow and Washington, based on the principles of equality, mutual respect and realistic attitude towards each other’s positions meets the interests of the people of our countries and the entire world community." Putin wished Trump success in his new capacity as the head of state that implied great responsibility. The United States went to the polls in a general election to vote for the president and vice-president, as well as to re-elect all members of the House of Representatives and 34 of the 100 senators, governors in 12 states and two territories (Puerto Rico and American Samoa) and the mayors of 15 large cities. 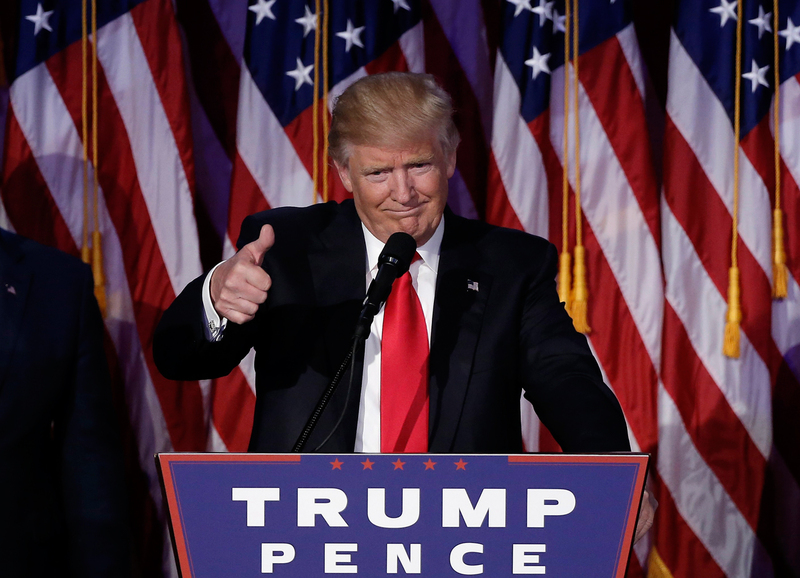 According to the Associated Press news agency, the Republican candidate, Donald Trump emerged the winner gaining support from the required number of members of the electoral college. He has 274 votes in contrast to his Democratic rival Hillary Clinton’s 215. To be declared the winner a presidential hopeful is to have the votes of at least 270 electoral college members.